When travelling outside of your regular place of work, you need to make sure that you are still covered health and safety-wise. The Basic One Person Travel First Aid Kit in Helsinki Bag is the perfect companion for the lone traveller. Nobody wants to be left in the lurch should an accident or injury happen outside of the workplace, especially if an employee is alone. This kit is stocked with all the HSE approved first aid items one will need when faced with any casualties or mishaps. The kit comes in a stylish Helsinki bag, with water resistant and tear proof fabric to properly safeguard your safety provisions. With multiple compartments to use for storage, there is even extra room in the bag to accommodate for additional essentials you may think of. What Materials Can You Expect to See in the Bag? 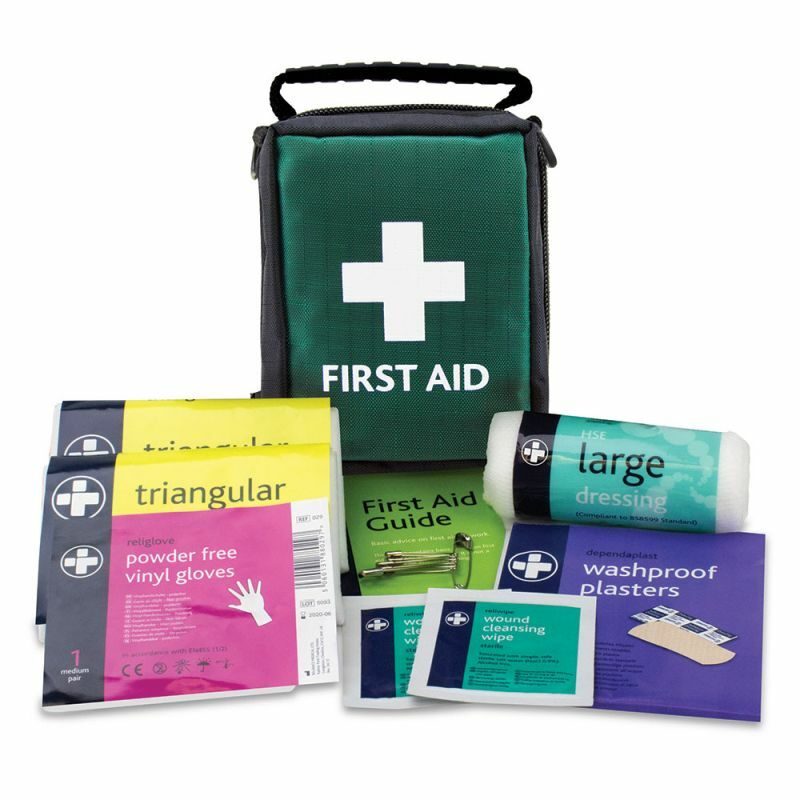 The Basic HSE One Person Travel First Aid Kit in Helsinki Bag is usually dispatched via First Class Royal Mail and delivery should be within 1 to 3 working days.